Proud, willful, and beautiful, Diana clashes head-on with Holt Mallory, the man who runs her father's ranch. But his son arouses her pity, and she opens her arms to the motherless child. Then a wild, white stallion ravages the ranch's brood mares. Diana joins the hunt for this mighty beast, and finds herself hunted - by Holt whose powerful passion she knows she cannot resist. ©1980 Janet Dailey (P)2013 Audible, Inc. This is a wonderful book, that I have read numerous times. One of my all time favorites. I f your looking for a good book, I highly recommend it. What would have made The Rogue better? I had a hard time listening to this. At times the narrator was so soft you could not understand. Would you recommend The Rogue to your friends? Why or why not? 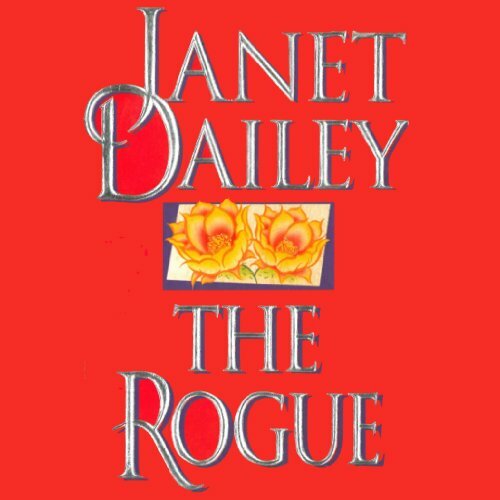 Would you consider the audio edition of The Rogue to be better than the print version? The book is very interesting and keeps interest but the reader is choppy and over articulates her words. Sadly the reader takes away from a very good story.